Welcome to ArizonaGolfer.net, where you'll find information about Arizona Golf Courses, Arizona Golf Vacations, and book Green Fees up to 70% off —with no membership— at 17 of Arizona's best golf courses. Phoenix, AZ - Public, 18 holes. The Raven Golf Club at South Mountain in Phoenix, Arizona is a uniquely designed traditional style golf course located in the desert. The plush, rolling fairways are lined with thousands of mature pine trees. The golf course's flexible, strategic design offers a challenge for all players, and the variety it presents will give you the opportunity to use nearly every club in your bag. A fair, true test of traditional golf, coupled with unparalleled service. A locals' favorite in the Summer as the pine trees and friendly staff help keep you cool! Ideally located just a short drive from Phoenix Sky Harbor Airport and most major Scottsdale Resorts and Hotels, The Raven Golf Club at South Mountain is a "Must Play" in the Scottsdale - Phoenix region. Looking to play other courses close to The Raven? 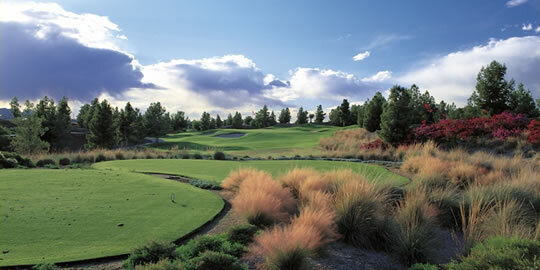 Try ASU Karsten, The Legacy and Phantom Horse Golf Club — all less than 15 minutes away. 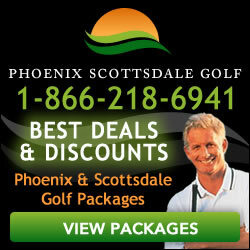 Save up to 70% on your Green Fees!